The Braves moved closer to clinching the National League East despite losing Sunday. Atlanta fell to the Cardinals 11-6 at SunTrust Park. The Mets, however, came away with a 9-4 win over the Phillies, which cut the Braves magic number to secure the division title to seven. 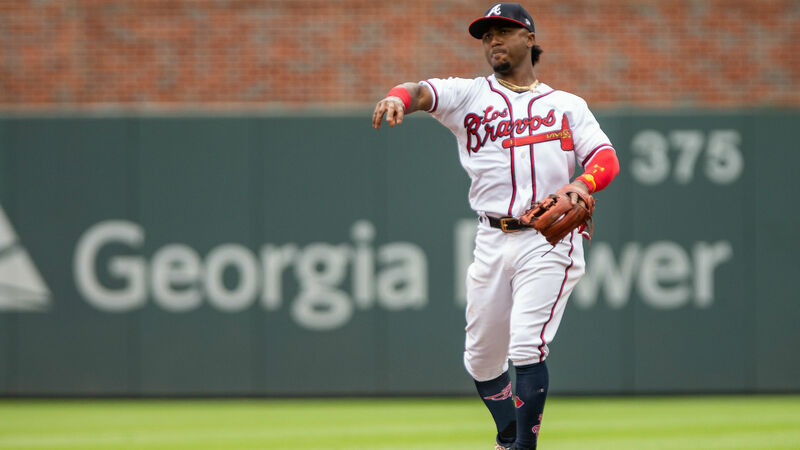 The Braves trailed 6-2 through five innings but sliced their deficit to just one after plating two runs in the sixth and another in the seventh. St. Louis, however, pulled away with five runs in the final two frames. The loss was Atlanta’s third in a row. Meanwhile, Mets outfielder Michael Conforto powered his team to a win as the Phillies missed a chance to gain ground. He tallied six RBIs in the game and hit a three-run homer in the top of the ninth to secure New York’s victory. The Braves and Phillies are set to begin a four-game series Thursday and will play each other seven more times this season. Christian Yelich drove in four runs and hit for his second cycle of the season in the Brewers’ 8-0 win over the Reds. He also recorded a cycle against Cincinnati in late August. Rays starter Tyler Glasnow threw six scoreless innings and struck out six against the Rangers. Tampa Bay pulled out a 3-0 victory. Nationals reliever Jimmy Cordero surrendered three runs and recorded just one out in his team’s 8-5 loss to the Marlins. Adam Jones went 0 for 4 with two strikeouts as the Orioles fell to the Blue Jays 5-0. The loss was Baltimore’s 107th of the season. Rays centerfielder Kevin Kiermaier missed timed his jump but still managed to come up with this leaping grab. Red Sox (103-47) at Yankees (91-58) 1:05 p.m. ET — MLB’s biggest rivalry resumes Tuesday when Boston and New York begin a three-game series at Yankee Stadium. The Red Sox will begin the series up 11 1/2 game in the American League East standings while the Yankees hold a slim 1 1/2 game lead for the first AL wild-card spot. Nathan Eovaldi (5-7, 4.22) is set to pitch for Boston. J.A. Happ (16-6, 3.75) will take the mound for New York.